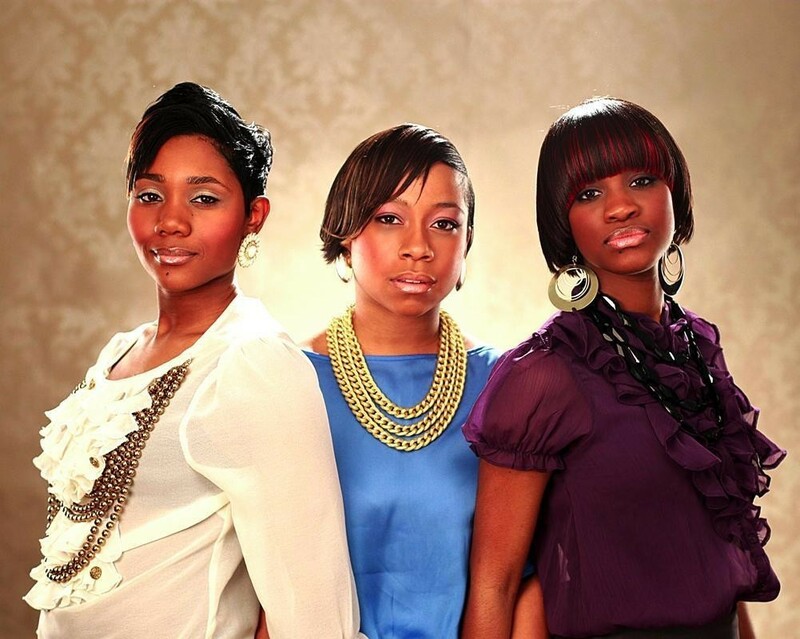 South London born trio Divine Unity are a girl group with a difference. Sacha, Martina and Sharlene started off singing at church and the award winning group have since performed at the National Exhibition Centre and The Drum Theatre in Birmingham, as well as performing to a sold out crowd at the Royal Festival Hall and Symphony Hall, in London. The talented singer/songwriters have also graced the stage with the likes of Soul Legend Omar and two time MOBO Award Winning saxophonist, Yolanda Brown; as well as supporting Basement Jaxx vocalist, Sharlene Hector when she performed at the Hat Factory, Luton. The girls are currently in rehearsals for their 8 week set at Charlotte Street Blues which will see them performing as part of the Gospel Brunch throughout February and March 2010. They recently sat down with Karla Williams to talk about how it all began, there response to being labelled as a gospel group and what ‘divine unity’ actually means. First of all, how did Divine Unity come together? Sacha: I’ve always know these two girls; I’ve never, not known them and our families have been friends and actually our families did music together back in the day. We naturally all sing and we just came together really and we’ve been singing together since the age of 12. How did your name come about - does it mean anything? Sharlene: It’s actually taken from The Bible. Divine means the power of God and unity means oneness. When we sing, we don’t just sing for fun but because we really want a message to come across and we always want to sing in unity and be of the same mindset. Sacha: It’s really difficult to describe our sound because we’ve got so many different influences that come through our music. Pop, basically is the bracket we would put it under but again, there are loads of different influences that come through. And by Pop, do you just mean popular music? Sharlene: Yeah because that is what pop means – popular music. Sacha: If our song was on the radio, it would be on a pop radio station, like Capital. Sharlene: When Sacha talks about our influences, mine is straight Gospel music...and that’s what I just love, love, love; whereas Sacha is completely different. Sacha: When I was growing up, yeah there was Gospel music and I loved it too, but there was also 80‘s and 90’s Pop that was played at home so that’s what I really love and that’s what influences me. Sharlene: Sacha wrote our track Realise and you can hear that raw 80’s Pop sound. Martina: And I was brought up on Commissioned and Boys II Men and all of those sorts of harmonies. Sharlene: But we just love everything! Sacha: We love music in general. The three of you are all songwriters, what inspires your music? Sharlene: Our songs are just about real life. We are Christians so God comes out in it naturally, because you write about yourself. Any song writer would say that it’s your own life experience that you speak about so definitely the main inspiration is our life experiences. Your track Realise has a very Christian feel to it, are you not simply a Gospel group? Sacha: I wouldn’t class us as that, simply because not all of our songs have got that element. Realise definitely has got that overtly Christian message coming through and it can’t be hidden – and that’s good. But not all of our songs are like that. Some of them are a bit more inspirational, we’ve got a couple of love songs in there too, so it would be difficult to brand us as just a Gospel group. Sharlene: Some of the songs we have written are inspired by other things...I song that I wrote called No More is just talking about a friend of mine whose boyfriend was just taking the Mick with her and the song is basically about her taking no rubbish and knowing your worth. So it’s like Sacha was saying, it’s really all about real life and we want to write songs that people can relate to. Girl groups in the UK are notorious for not doing as well as boy bands, is that something that worries you? Sacha: Not at all! I think that we’re unique and I think we can bring something to the music industry that’s different because of the different influences to our music. So I’m not really worried about what other people have done and I think people will like us for what we can bring. So what would you say makes Divine Unity stand out from other girl groups? Sacha: I think every individual has got something that makes them unique and different from other people. Each of us are crazy and that comes out in the way that we perform; our personalities help to make us different and it reflects in our music. Our sense of style, not saying we’re the best and most fashionable people, but that also comes out as well. Sharlene: It’s very hard to just say one thing. Because for me I have come from a performing arts background so that comes out in the performance and if you come to a live show of ours you will see that. We all come from different backgrounds so when it all comes together...it will be different to anything you’ve heard. You can’t really put us in a box. Sacha: Oh no she’s not! Sharlene: She has moments of quietness! Sacha: Although she’s not speaking that much Tina is very visually creative. She’s good with visual arts and the media elements. She’s very good at hearing harmonies and very good at working out the dynamics to our songs. Sharlene: And reining me and Sacha in! Sharlene: Sacha has very strong vision...I might say ‘let’s just do this’, and Sacha will say ‘No! We can make it bigger’. So what other things do you have planned for 2010? Sharlene: We are working on our EP that will be coming out in the summer! We’ve got so many songs to choose it’s going to be hard to pick which ones to put on it. After Charlotte Street we are going to be at different venues around London and hopefully the UK. I can’t say too much now but check our Myspace; all of it will be updated there. Finally, why should people come and see you live at the Charlotte Street gig? Sacha: Just for a taste of something different really. You can come and get some live entertainment and experience something a bit different in a relaxed environment. Martina: We have more to offer because we all are from different backgrounds and Sharlene brings the performance element...it’s not just going to be three girls standing up there singing in front of you – it will be a show. Sharlene: Even though it’s part of the Gospel Sunday Brunch, people have a thing about how they think Gospel music is...but it will be different to how it has been before on other Sunday Brunches. For more info on the group please see http://www.myspace.com/divineunity3 or search Divine Unity on Facebook. Karla Williams is a London-based journalist and writer.